Hours: Tuesday-Saturday 10a-6p, Thursday 10a-5p and 6-9p for ArtWalk. Altamira Fine Art specializes in the exhibition and sale of Western Contemporary artwork. The gallery offers an exciting, fresh take on life in our region, representing leading artists who are redefining the West. Genres include Modern Landscape, Abstract, Pop, Contemporary Western, Sculpture, Contemporary Native and more. Altamira also specializes in the work of Fritz Scholder (1937-2005), the Taos Society of Artists, the Santa Fe Art Colony, as well as the American Modernist movement. 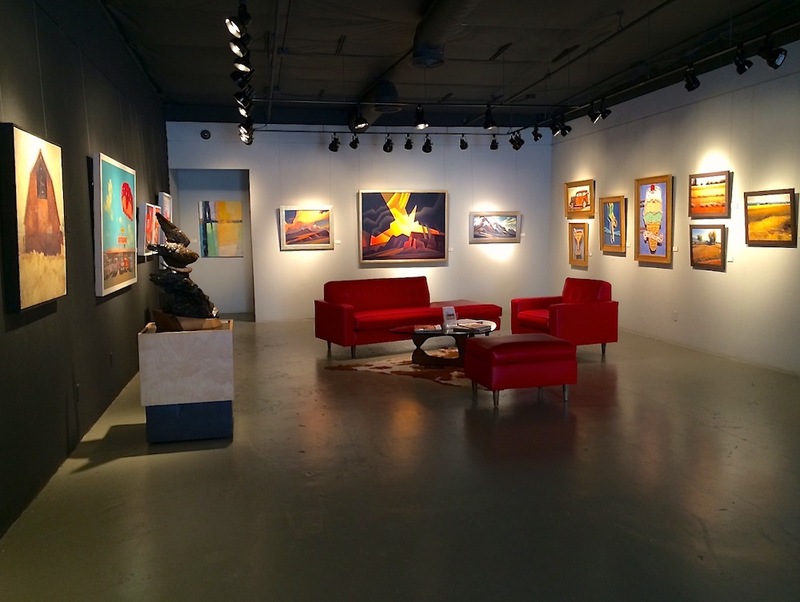 Altamira Fine Art has two gallery locations: Scottsdale, Arizona and Jackson Hole, Wyoming. Represented Artists: Duke Beardsley, Don Coen, James Pringle Cook, R. Tom Gilleon, David Grossmann, Simon Gudgeon, Todd Kosharek, Jivan Lee, Robert McCauley, Ed Mell, Dan Namingha, John Nieto, Howard Post, Mary Roberson, Thom Ross, Jared Sanders, Billy Schenck, Fritz Scholder (1937-2005), W. Steve Seltzer, David Michael Slonim, Gary Ernest Smith, Robert Townsend, September Vhay, Theodore Waddell, Travis Walker, Greg Woodard, Dennis Ziemienski.